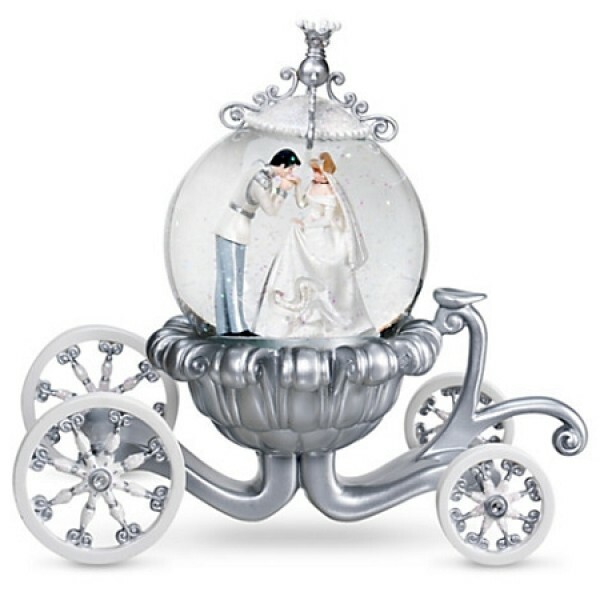 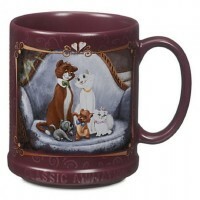 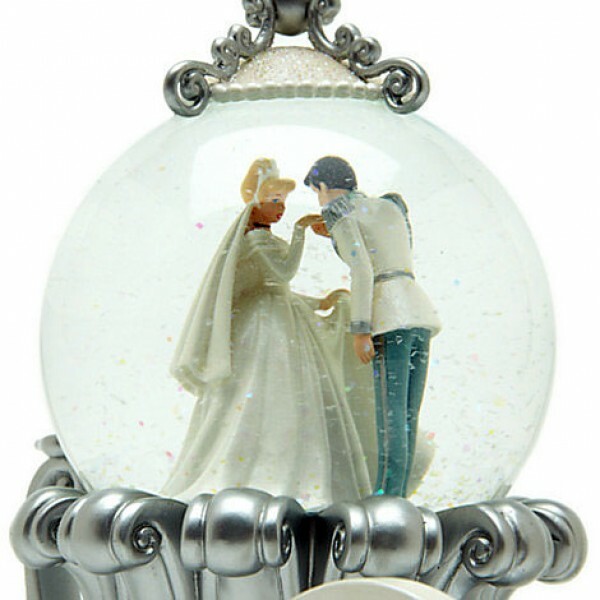 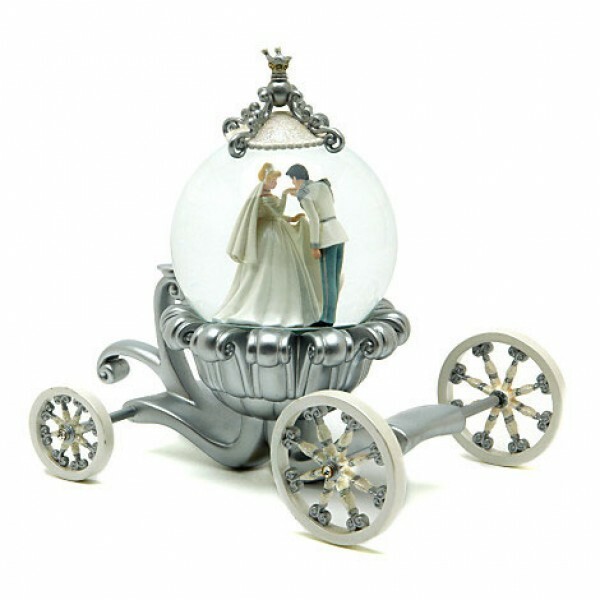 Celebrate your happily-ever-after occasion with our enchanting Cinderella snow globe. 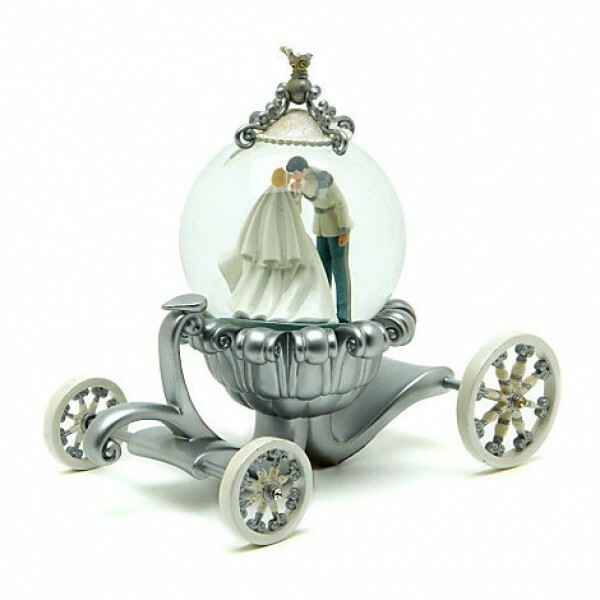 Prince Charming and his bride ride within a sparkling glass and Silverstone coach reminding us that any dream you wish can come true. 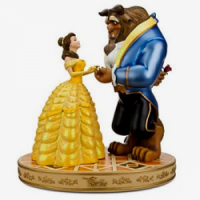 •23cm Long x 20cm High x 15cm with Approx.